Four notable writers will discuss geography and the notion of “borders” as a place, an idea, and a force in their work and in U.S. Latino writing. 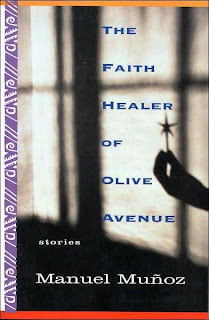 Manuel Muñoz, born in California and currently living in Arizona, is the author of the short-story collections Zigzagger and The Faith Healer of Olive Avenue. He received a 2008 Whiting Writers Award. Mayra Montero is a Cuban-born novelist and journalist who lives in Puerto Rico; among her novels translated by Edith Gossman are The Captain of the Sleepers, Dancing to “Almendra” and The Miracle of Wool (forthcoming). Loida Maritza Pérez, born in the Dominican Republic, has published the novel Geographies of Home, which depicts the hardships of a Dominican-American immigrant family in New York City. She is working on Lamentations, a novel about a Dominican religious leader. 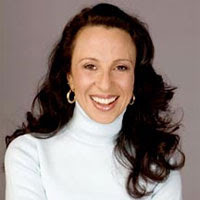 Moderator María Hinojosa (pictured), born in Mexico, is an award-winning journalist, the senior correspondent for “Now” on PBS, and a contributor to “Latino USA,” as well as an author (Crews, Raising Raul). This event is in collaboration with the Cuban Cultural Center, Mexican Culture Institute, the Dominican Studies Institute, Center for Puerto Rican Studies at CUNY, and Instituto Cervantes. WHEN: Thursday, April 16, 7:00 p.m. If you have a favorite writer who is also blogging his/her brains out, please leave a comment below with a link. ◙ SOME “DEAL” NEWS: Playwright and journalist Gregg Barrios's LA CAUSA, a collection of poetry that chronicles the Hispanic civil rights movement in the United States from the 1970s to the present, to Jon Hansen at Hansen Publishing, in a nice deal, for publication in 2009. ◙ LOOKING FOR THAT SPECIAL BOOK: In the new issue of Somos Primos, we learn of how to obtain several difficult to find books published in Mexico. ... the poems navigate through the trauma of a broken home, the violence of an urban neighborhood, and the expressions of love and disdain for that environment. A graduate of the Jack Kerouac School of Disembodied Poetics at Naropa University, Valadez employs such experimental devices as the anagram and the fragmented line to mirror the speaker's disorientation and damaged memory. Reading "What I'm On" -- in which memory is like a drug and the past a habit that's difficult to kick -- is a challenging but also a stunning reading experience. 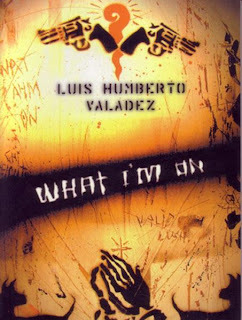 Valadez brings to Chicano-Latino letters a fresh approach to autobiography in verse that's dynamic, risk-taking and attitude-driven. ◙ JOB WELL DONE: John Olivares Espinoza and Gary Soto are among those writers nominated for this year's Northern California Book Awards. ◙ PASS THE MATZO: As Passover approaches (it begins sundown, April 8 and lasts for eight days), you might be interested in A Poet's Haggadah: Passover Through the Eyes of Poets, edited by Rick Lupert. I’m proud to say that I have a poem in it. ◙ That’s all for now. So, in the meantime, enjoy the intervening posts from mis compadres y comadres here on La Bloga. And remember: ¡Lea un libro! I would like to invite everyone to my blog Tinta Derramada. If you feel like reading in Spanish, bienvenidos a mi blog! Just click on my name.